Studying at Saitama University has given me a once in a lifetime chance to meet other students from Japan as well as from all over the world. The classes that are offered cover everything from history to sciences to culture. Some of the classes that I’ve taken include Pre-modern and Modern History, Worlds of the Samurai, History of Vendetta Culture, Traditional Japanese Performances, and many more. The environment of the classes both in English and Japanese are very relaxing and promote an environment that makes learning easy. Classes here at Saitama University are difficult, but each day brings new opportunities to learn new things and improve Japanese language skills. Throughout my time here, I’ve learned so much about Japan’s history and culture not only from a Japanese perspective, but through other cultures throughout the world as well. There are many opportunities to speak Japanese with native and foreign speakers, which make learning Japanese much more interesting. 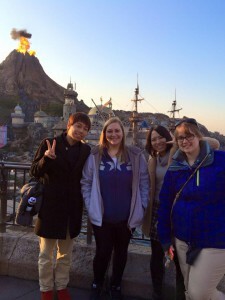 Saitama University also has a very international atmosphere as well. 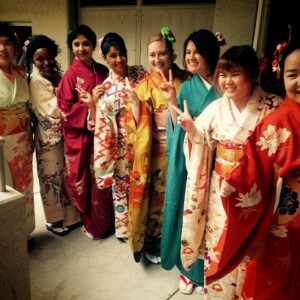 I was not only exposed to Japanese culture, but other cultures from around the world. While studying here I’ve become friends with people from Bolivia, Brazil, Australia, India, Germany, and many other countries. Having friends from all over the world has really opened my eyes to other cultures outside of my own as well as seeing Japan through different perspectives. It has been a great year here learning and exploring Japan while meeting new people and making new friends. Each day there is something new to see or do and there is always someone who is ready to go on a new adventure and everyone is always ready to learn something new. Being here also gave me the chance to reunite with the students to studied at my university in the past which was great to further our friendships. The University is also in a great location that makes going to other cities very easy and quick. By train it takes about 30-40 minutes to get into Tokyo and only 20 minutes to get to Omiya. With such easy access to Tokyo, traveling all over Japan is really easy, which has been really nice. Overall, my experiences at Saitama University have been overwhelmingly positive. I’m thankful for the opportunities and experiences that have been made possible since coming here. The staff at Saitama University is also always willing to help make the best of the experiences and help us when necessary.